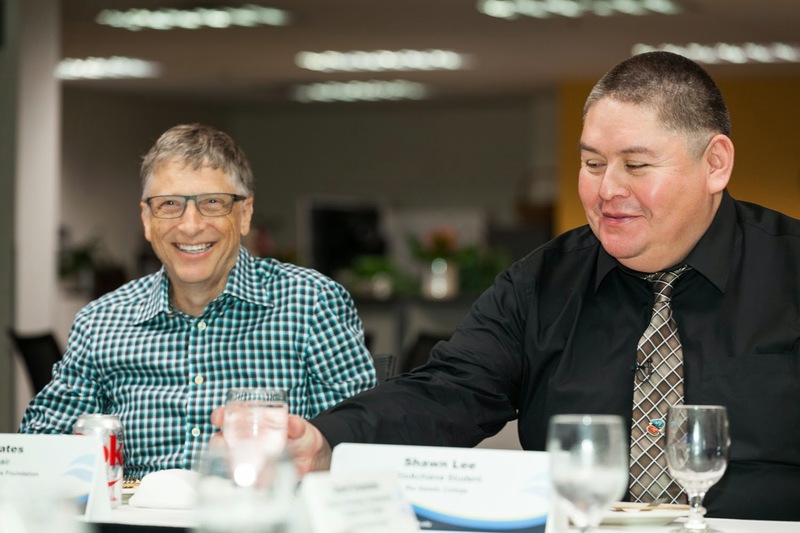 Here's a great story by Arizona Journal Reporter Linda Kor about Rio Salado student Shawn Lee, who had an opportunity to meet with Bill Gates in November. Photo above of Bill Gates with Shawn Lee, courtesy of (c) Bill & Melinda Gates Foundation/Mark Makela. If you're close to completing the coursework for your certificate or degree at Rio Salado College, then it's time to apply for your diploma-- and to register for graduation. Graduation applications are due March 1, 2015. Get a jump start before the New Year. Submit your applications now online. 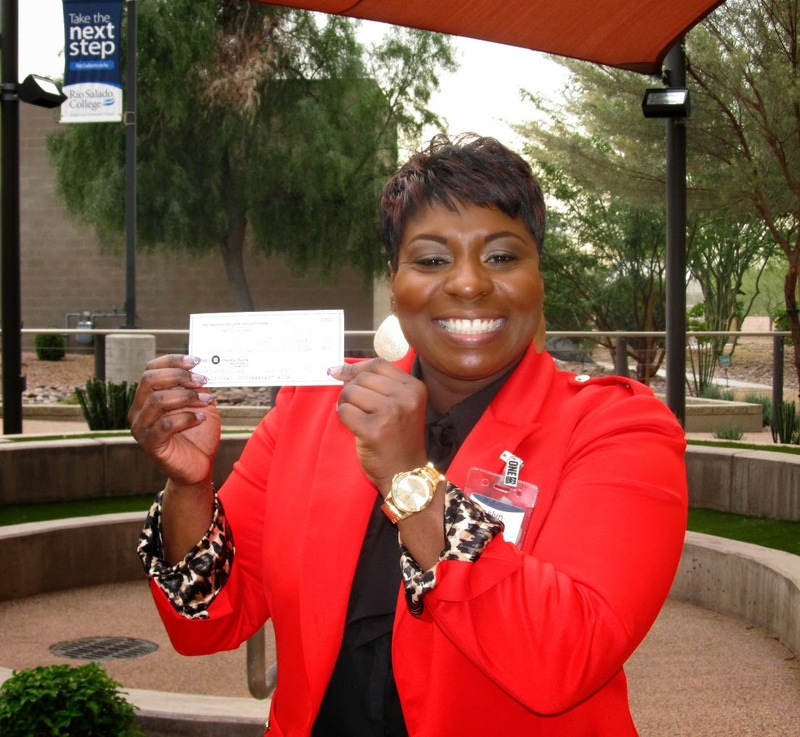 Pictured above is Rio Salado Faculty Chair for Reading Rosslyn Knight proudly holding a check for $1,800, which will benefit the Maricopa Colleges Faculty Foundation. Knight, along with other Rio Salado faculty and administrators helped to raise the money during a recent holiday party by raffling gift items. In addition to granting scholarships, the Foundation provides just-in-time funds to help students avoid having to drop out of school as a result of unforeseen financial emergencies. Foundation dollars are also helping students pay for bus passes, baby food, rent, car repairs and other daily expenses. You can make a difference too. Donate Now. The Maricopa Colleges Faculty Foundation is a 501(c)5 voluntary labor organization composed of current and retired residential faculty from the ten Maricopa Colleges. 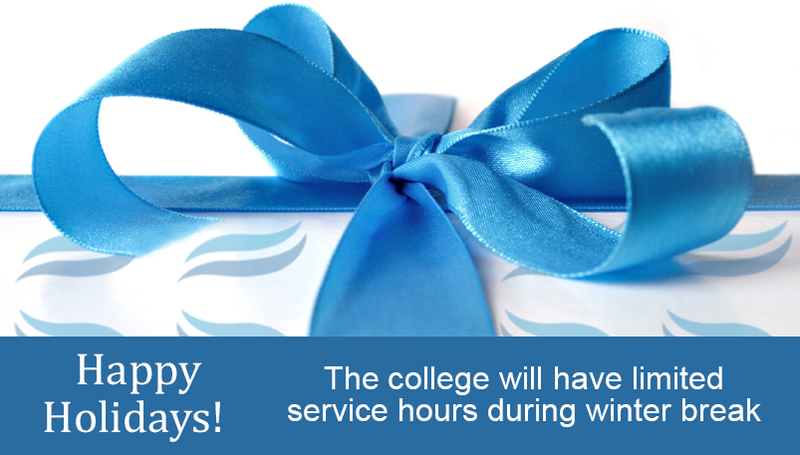 Rio Salado and the Maricopa Community Colleges will be closed from Wednesday, Dec. 24 at noon until Saturday, Jan. 3. Some specialty services will be available at select Rio Salado locations. Please visit this web page for details. 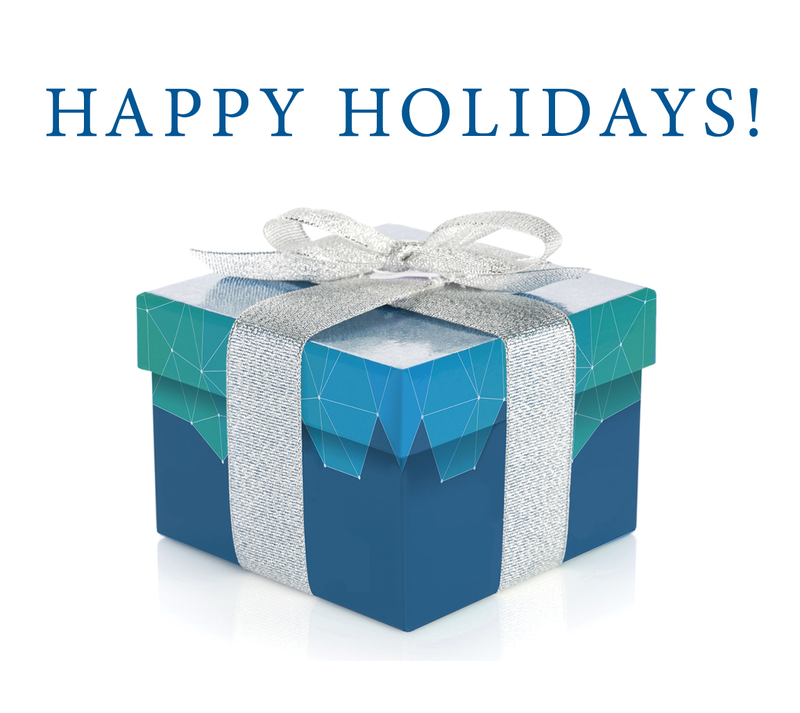 We will resume regular hours on Monday, Jan. 5, 2015. Rio Salado Vice President of Academic Affairs Dr. Jennifer McGrath shared a blog post with Next Generation Learning Challenges (NGLC) about the underlying strategy and initial results of RioAchieve-- a grant funded program designed to target five specific interventions that support student success, retention, and completion. 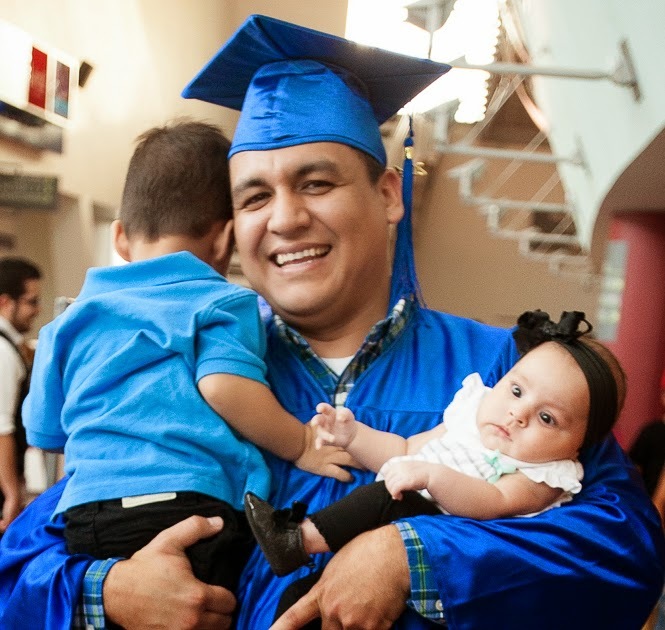 RioAchieve is funded by a $ $970,000 NGLC grant, which was awarded to Rio Salado in October 2012. NGLC is a partnership led by EDUCAUSE, which is primarily funded by the Bill & Melinda Gates Foundation. Rio Salado College is looking for a part-time employee to serve as a Testing Technician at the Communiversity at Queen Creek. Job duties include administering paperwork and computer-based exams to students, providing general clerical assistance, greeting visitors and directing traffic. The ideal candidate will have experience working with computers, including a knowledge of spreadsheet and digital data management. A strong detail to attention is a must, as is the ability to follow written and oral directions. Are you the right fit for the job? We'd love to hear from you. Apply Today! Rio Salado College also has several, part-time student Federal Work Study (FWS) opportunities. FWS jobs are based on student need and do not have to be repaid. For a list of job openings, visit www.riosalado.edu/jobs and look for listings under Part-Time Student Federal Work Study Opportunities. For other employment opportunities with Rio Salado College and all Maricopa Community College District locations, visit www.maricopa.edu/hrweb. 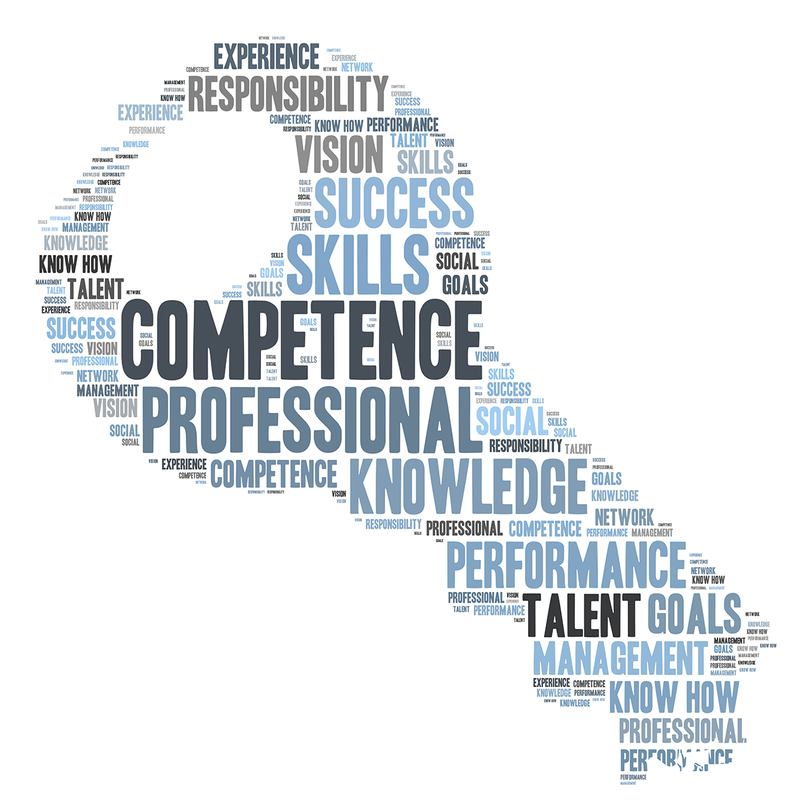 Students often want to know what skills are required in order to help them complete their college degree. I constantly relay to my students that they need to possess the abilities to think critically, question and analyze information, as well as maintain patience, perseverance, and a commitment to their academic goals. 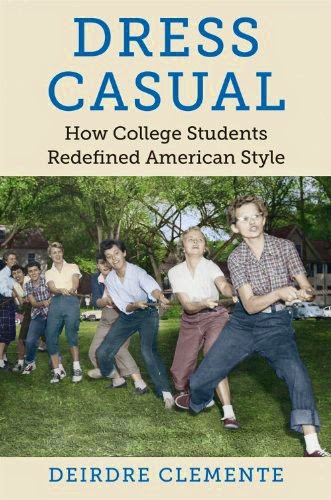 However, I believe that some success skills are not as frequently discussed or even known about that are critical to students’ success in college and life. The tools of emotional intelligence and interdependence are among the hidden or forgotten competencies of success. Emotional intelligence simply refers to the ability to effectively manage one’s emotions, as well as others’ emotions (Downing, 2010). 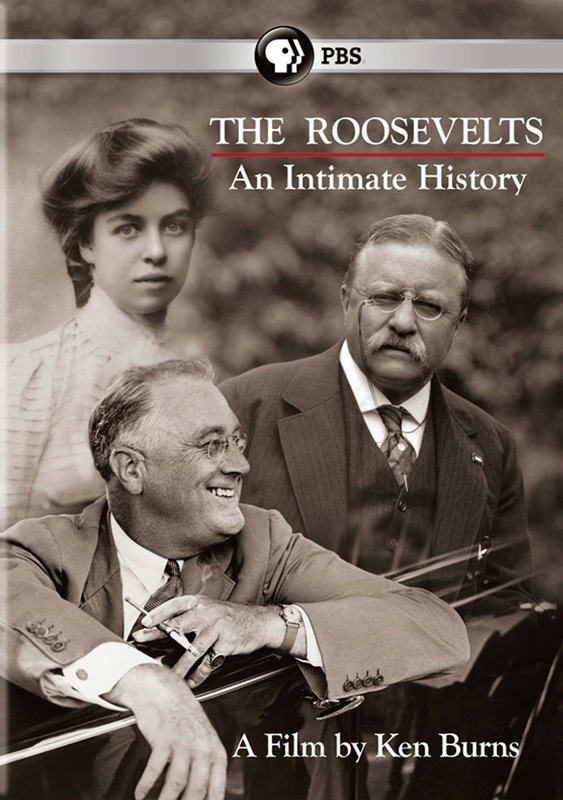 The other significant success skill of interdependence is described as the ability to collaborate with others successfully by seeking, receiving, and applying feedback from others (Downing, 2010). So you may be thinking how do I begin to acquire these skills and enhance the abilities I already have? Rio Salado offers a course to facilitate the development of such competencies called CPD150 Strategies for College Success. Enroll Today. Reference: Downing, S. (2010). On course strategies for college success. Mason, OH: Cengage Learning. As a counselor, I have met with numerous recent college graduates who are seeking their first professional job after finishing school. A common problem many students encounter is a lack of related work experience. This is especially an issue when most job postings list “experience required” as one of the qualifications. You think to yourself, “how am I supposed to get experience if I can’t get a job?” My best recommendation is to get an internship. It is the perfect way to get experience in your field and to apply what you’ve been learning in the classroom. Some academic programs require an internship as part of the curriculum but if your program doesn’t require it, you need to take the initiative. Internships can come in all different “shapes and sizes”. They can be full time, part time, for credit or non-credit, paid or unpaid but the goal is the same: gaining experience. This is an opportunity to gain experience you can’t get in the classroom. An internship should have parameters in place on what you will learn on the job and what the employer’s expectations are for your contributions. 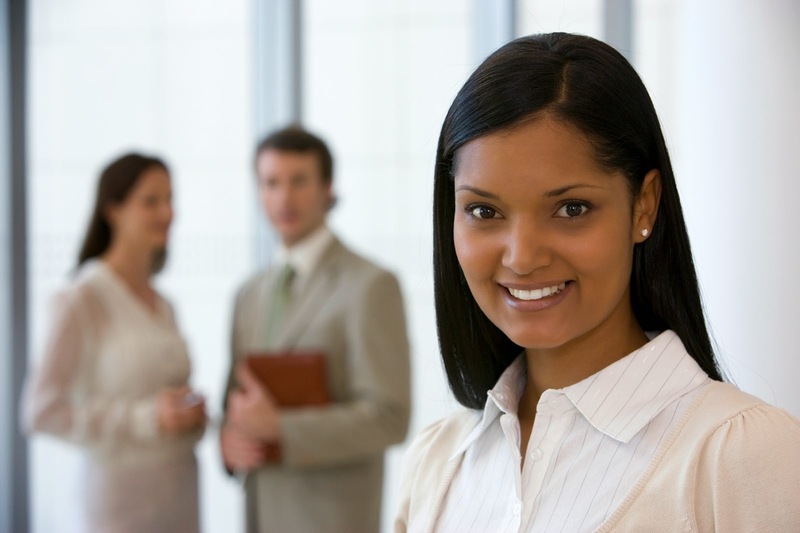 The length of your internship should also be agreed upon before starting. If you are still trying to decide on your future career path, working as an intern is an excellent way to explore a career you’ve been considering. What better way is there to truly see what a future job would be like than to actually “test the waters?” The earlier you do this in your college career the better. You want to give yourself time to change your major if you decide this career is not a good fit. Finding an internship is just like the job search process. It takes an excellent resume, solid interviewing skills and networking. 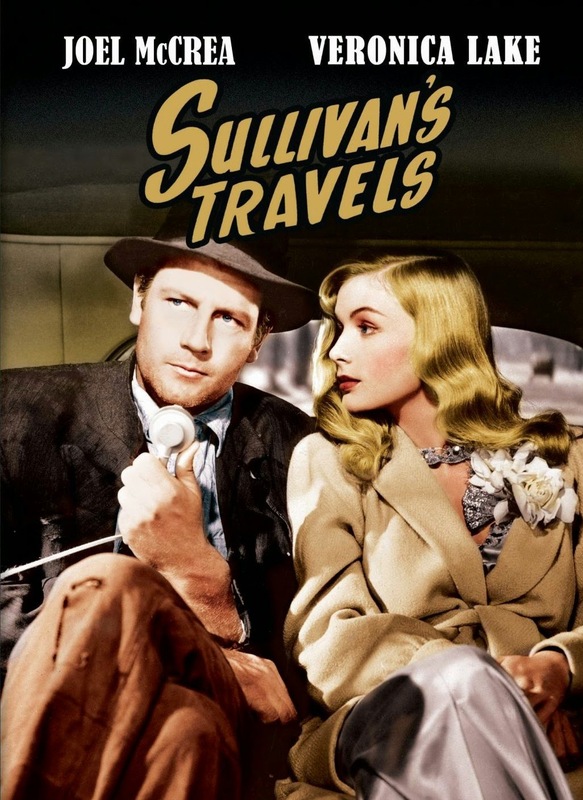 If you need help with these skills, Rio Salado offers Creative Job Hunting (CPD 102AC) as a two-credit course. The Counseling department is also available by appointment to discuss your career goals and to offer guidance on how to find an internship. Finding a job is always a competitive process but with internship experience on your resume you are a step ahead of your competition! Or even better, your internship ends with a job offer! Now you can earn college credits toward Rio Salado’s many Business and Public Administration programs through our new Internship Program. To learn more, including application guidelines, visit www.riosalado.edu/programs/business-internship. 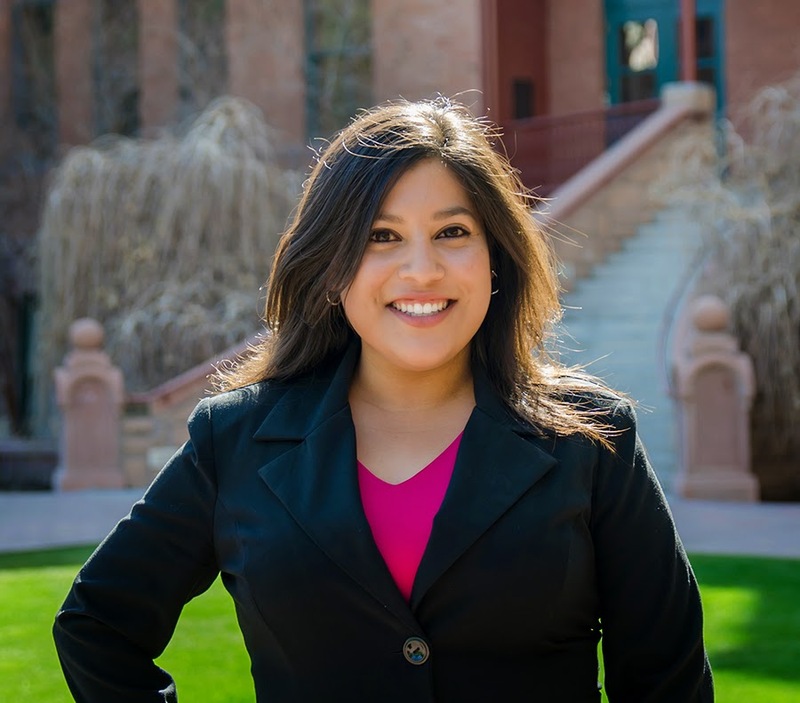 Contributed by Rio Salado Counselor Kamela Craig on behalf of Rio Salado's Counseling Services. On December 1, the news staff at 91.5 KJZZ hosted a group of international journalists who are visiting the the United States as part of the U.S. State Department’s International Visitor Leadership Program. The journalists are learning about the responsibilities of a free press in a democracy, social issues, press law and investigative reporting in the U.S. The Department of State's International Visitor Leadership Program is arranged by the Institute of International Education. Pictured above: Jude Joffee Block (KJZZ Senior Field Correspondent), Mwape Zulu Kumwenda (MUVI Television Zambia), Asmau Habibu Shagari (Nigerian Television), Al Macias (KJZZ Managing Editor), Zuzana Hanzelova (Radio and TV Slovakia), Mark Moran (KJZZ Associate General Manager of News and Editorial Content ), Rosen Veselinov-Tsvetkov (BTV Media Group Bulgaria), Zied Dabbar (Dar As-Sabah Tunisia) and Gloria Masanza (Zodiak Broadcasting Station Malawi). KJZZ is a community service of Rio Salado College. Rio Salado's Dental Clinic is pleased to provide oral education supplies and volunteer services for The Central Arizona Dental Society (CADS) Foundation's third annual Mission of Mercy (MOM) event at the Arizona Fairgrounds in Phoenix-- December 12 -13. 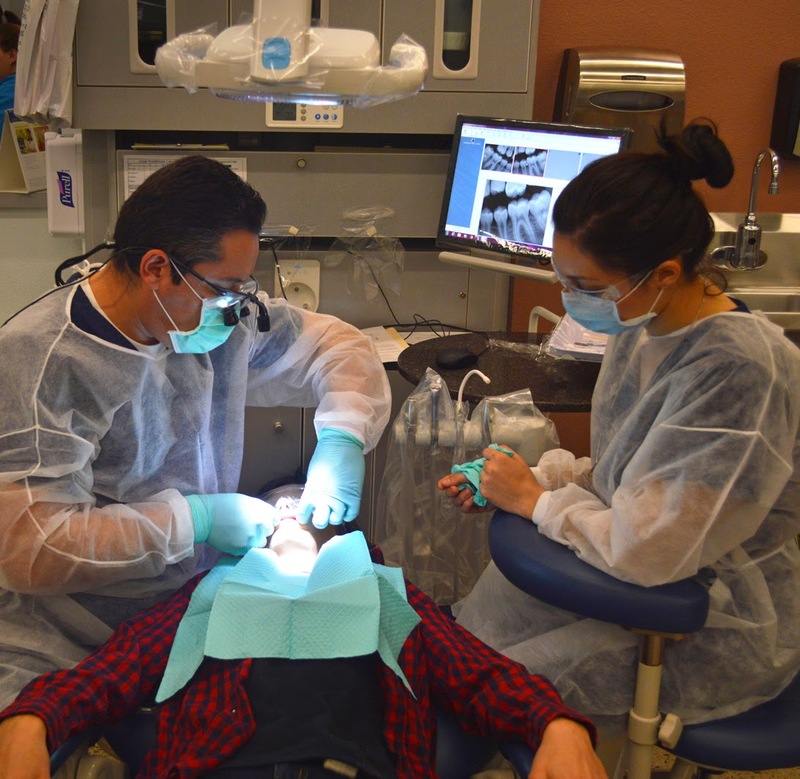 The event will take advantage of 100 portable dental units and 1500 volunteers, including Rio Salado Dental Clinic staff and students. Approximately $1,500,000 in free care is expected to be delivered to 2,000 children and adults. When was your last dental checkup? The Dental Clinic offers discounted services to the public-- all year long. Services include: blood pressure screening, oral examination, X-rays, cleaning and polishing, fluoride application, gum disease screening, oral hygiene instruction and other selected services-- including sealants and dietary counseling. Services are available to adults and children 4-years of age and older. The Dental Clinic is located at 2250 W. 14th Street in Tempe. Clinic hours and appointments may vary. All new patients must have a screening visit prior to a dental hygiene appointment. To schedule a screening appointment, call (480) 377-4100. For more information, visit www.riosalado.edu/locations/dh/Pages/Dental-Clinic.aspx. Fifteen science, technology, engineering and mathematics (STEM) professionals have a chance at recareering as secondary classroom teachers through Rio Salado’s Noyce Scholars Program. Qualified candidates will benefit from a generous $16.5K stipend provided by the National Science Foundation (NSF) and Rio Salado’s fast-track teacher education program. The deadline to apply is Feb. 3, 2015. Rio Salado’s Noyce Scholars Program is ideal for Valley STEM professionals who’ve been thinking about making the transition to teaching. The stipend funds are part of a $1.2 million NSF grant awarded to Rio Salado in 2011 as a way of encouraging STEM professionals to bring their industry experience to the classroom, combat the shortage of qualified STEM teachers and help Arizona teens prepare for high-need STEM careers. It was a natural decision for Phoenix resident Katy Westersund to enter the program. 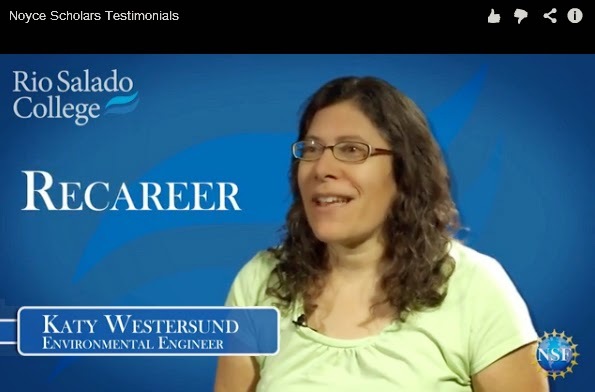 “I started to think about my prior career as an environmental engineer, and about what I can do now,” said Westersund, a full-time mom who also volunteers at her children's school. the benefits of Rio Salado's Teacher Ed program. Westersund completed a student teaching assignment at Tempe Union High School in November. By January, she will be certified and ready to teach high school math. She is one of 20 students currently participating in the program. Qualified applicants will have an opportunity to earn a Secondary Arizona Teaching Certificate in math or science for grades 6-12. They will be provided mentoring, assistance with job placement and first-year classroom support. The 15-month post-baccalaureate program is online, making it accessible and convenient. “Students are supported throughout the program with their coursework by a success coach and a mentor during the first year of teaching to assist with classroom management and other first-year teacher challenges,” said Noyce Scholars Program Manager Karen Nave. Candidates must have a bachelor’s degree, three or more years of experience in a non-education STEM career-- and a passion for teaching. The application process includes a subject knowledge exam, a teaching seminar and screening interview. For more details, visit www.riosalado.edu/noyce or call 480-517-8066. Pictured above: Rio Salado Teacher Ed staff accompany Noyce Scholars at February 2014 National Title I Conference for Educators Conference in San Diego. Tucked away in each of Rio Salado College’s nine locations are testing centers serving thousands of Valley residents and visitors including U.S. Military personnel, U.S. Postal Service workers, FBI agents, GED® test-takers and yes— lots of college students. They also offer IT exams like the one passed by Ayan Qureshi, the five-year-old boy from the UK who recently became the youngest Microsoft certified IT professional in the world. Rio Salado Testing Centers aren’t getting that kind of international attention-- but they’re getting a share of local and national merit. 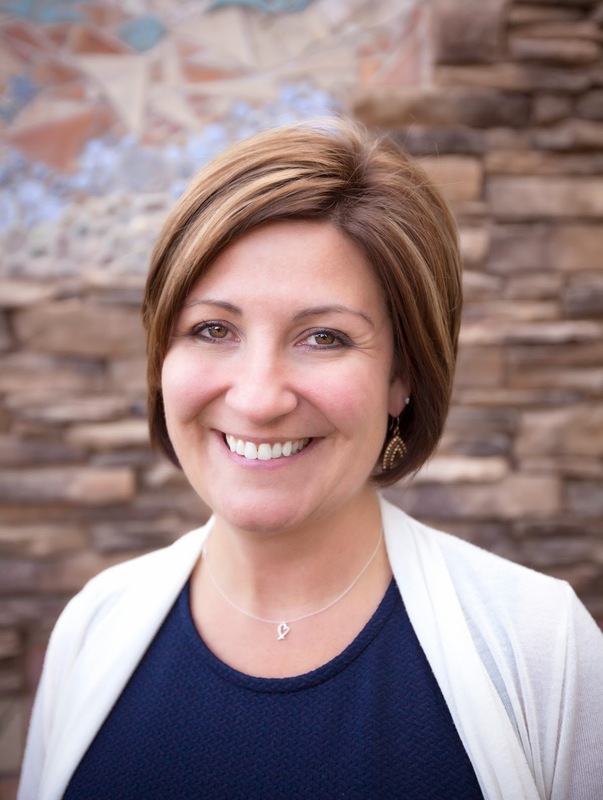 “Rio Salado College Testing Centers were the first in Arizona to become Nationally Certified Testing Centers by the National College Testing Association,” said Linda Lukey, Rio Salado director of testing and prior learning assessment. Lukey, who has been instrumental in the development and growth of the testing centers, is proud of that distinction— and the national recognition from the College Board, which has recognized Rio Salado since 2002 as a Top 100 College-Level Examination Program® (CLEP®) testing center. It also recognized Rio Salado as a Top 25 Military Testing Center for CLEP exams in 2013 - 2014. Each of Rio Salado’s Testing Centers offers 33 CLEP exams, which assess subject matter proficiency and provide an opportunity for students to receive college credit with qualifying scores. For example, Spanish CLEP test-takers can earn up to 16 college credits. Students can apply knowledge they’ve gained through prior course work, independent study, internships, job training, professional development and personal pursuits. There are testing services for IT professionals who need to keep certifications up-to-date, including Pearson Vue CompTIA Certification exams, which are recognized by thousands of companies as a predictor of employee success. All Maricopa students, faculty and staff are eligible for significant discounts on these exams. Students pursuing A+ certification save about 55%. Network+ certification students pay approximately half the normal rate. Rio Salado students may also receive college credit for their certifications. The Testing Center provides proctoring services for other educational institutions so students can take midterms and finals at a location that’s convenient for them. “We are also part of the Consortium of College Testing Centers, offering proctoring services for students worldwide,” said Lukey. The Pearson Vue GED® test has become quite popular. More than 10,000 people have taken the exam since the college began offering it in October of 2013. There are a series of tests you can’t fail. ACCUPLACER exams are free of charge and help new students gauge their current skill levels for Reading, English and Math. Academic advisors use the results of the assessments along with details about students’ academic backgrounds to determine appropriate college courses. Rio Salado Testing Centers also offer Adobe Certified Associate and Microsoft Office Specialist Certiport Exams; exams that assess English language skills and more. For a comprehensive view of the types of services offered, the locations, hours of service, forms of identification required and other details, visit: www.riosalado.edu/testing. 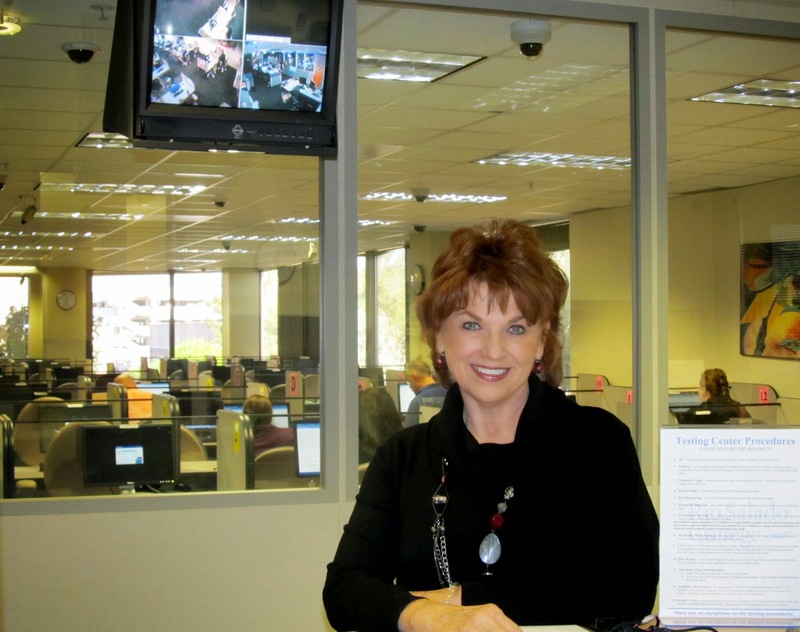 Pictured above: Linda Lukey, Rio Salado director of testing and prior learning assessment. This story can also be found in the December 6 edition of the Tempe Republic. By Annette Flores, manager of Rio Salado College media relations. Rio Salado’s Sustainable Food Systems Program and Cafe @ Rio team are partnering with Peppermint Jim Crosby from Crosby Mint Farms and Executive Chef "Nick" Nicklosovich from Lansing Community College for Arizona’s 2nd Annual Traveling Stone Soup Tour. 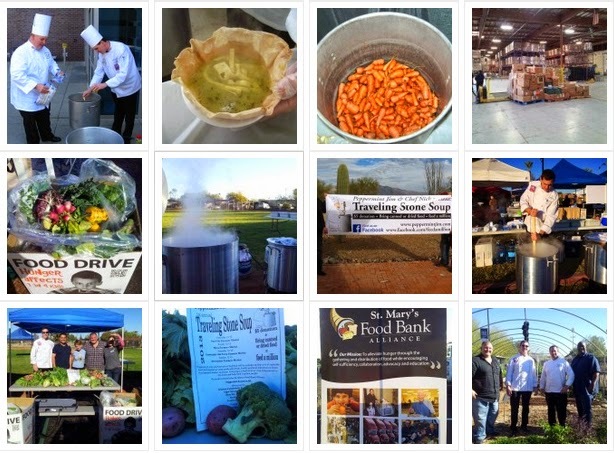 Peppermint Jim and Nick will visit four different farmer's markets, December 11-14, to prepare huge pots of “Stone Soup" to share with the public for a suggested donation of $5, which will benefit St. Mary’s Food Bank Alliance. They will also help the food bank collect canned food donations. The goal is to feed one million people. 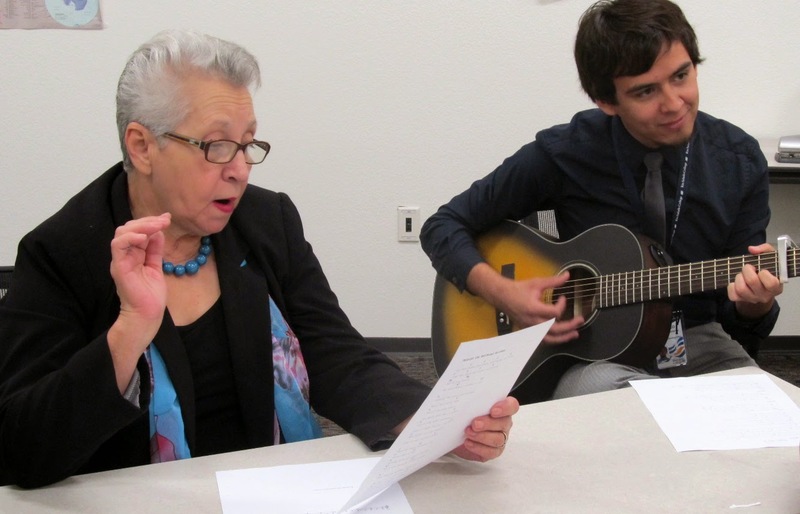 Rio Salado employees and students will volunteer their time to help the duo prep on December 10. To learn more about this program and how you can get involved, visit https://peppermintjim.com/humanitarian-events/ or visit Peppermint Jim's Facebook page. 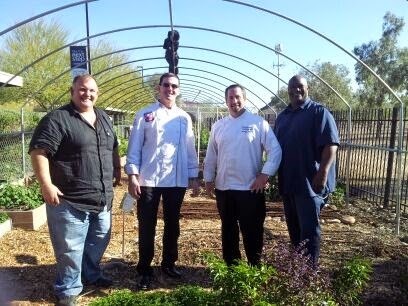 Photo 2:Peppermint Jim Crosby (Crosby Mint Farms), Michael Hodgins (Rio Salado Sustainable Foods Program), Chef "Nick" Nicklosovich (Lansing Community College) and Darren Chapman (Tiger Mountain Foundation). Interested in earning a degree or certificate in Early Childhood & Human Development? Rio Salado College is offering a certificate-to-degree program with in-person class options at the Communiversity at Queen Creek. Learn more about the program, and check out the latest schedule of in-person classes at the Communiversity at QC. For additional information regarding Early Childhood undergraduate and professional development opportunities please contact Student Enrollment Services at 480-517-8580 or email us. ASU’s Guided Pathways to Success (GPS) transfer program has helped many students make a smooth transition from community college to the university. Now ASU is being honored for the program with the Inaugural Institutional Excellence for Students in Transition Award. Presented by the National Resource Center for the First-Year Experience and Students in Transition, the award recognizes institutions that have effective initiatives for helping students succeed and collaborative partnerships that support transfer students. ASU is the first-ever university to be recognized with this award. 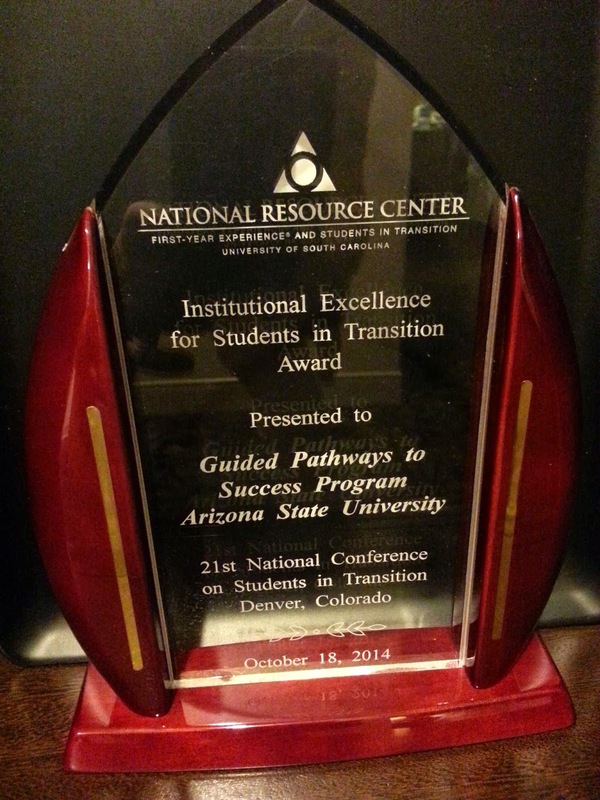 Read more about the award and ASU’s transfer student support efforts. The Maricopa to ASU Pathways Program (MAPP) can help you transition to and complete your bachelor’s degree at ASU through a prescribed sequence of coursework, specialized academic advisement and guidance from an ASU transfer specialist. Learn how you can seamlessly transfer from Rio Salado College to ASU by visiting www.riosalado.edu/mapp or call 480-517-8580. Internships are a great way to earn college credits, attain professional experience to include in your resume and help you prepare for a career after graduation. A qualified internship is a structured, practical experience in which you apply all that you've learned throughout your coursework at Rio Salado. An internship should also further your knowledge and skills in an area that specifically relates to your current program of study and future career goals. It is the student’s responsibility to secure an internship opportunity. Internships can be paid or voluntary assignments. Once an internship is established, it can be arranged for one, two or three credit hours, depending on work hours. Students can use up to six internship credit hours toward approved degrees and certificates. Students must be currently enrolled at Rio Salado with a freshman or sophomore status and have a minimum 2.0 GPA to be eligible for an internship. Your completed application is due two weeks in advance of your start date. To learn more about this program, including application guidelines, visit www.riosalado.edu/programs/business-internship. Dr. Bustamante and his family. The Grand Canyon Council of the Boy Scouts of America (BSA) recently honored Rio Salado President Dr. Chris Bustamante with the ¡Scouting...Vale la Pena! Award at the BSA Diversity Leadership Reception. The award recognizes outstanding service, advocacy and involvement in the development and implementation of Scouting opportunities for Hispanic/Latino youth. Other award recipients include Dr. William Holland, Eagle Scout Class of 1959, and Abe Arvizu, Jr., Troop 204.